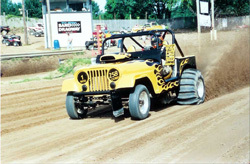 BONNE TERRE, MO – Sand drag fans experienced an emotional roller coaster as Big River Sand Drags hosted their first two-day show of the 2008 season. But, emotions weren’t the only things caught in a corkscrew. Once again, BRSD fought a harsh battle with the unexpected weather. Everything from un-forecasted cloudy skies on Saturday, which could have limited the overall turn out, to a perfectly gone bad Sunday evening with severe winds and damaged equipment. Thunder Valley Sand Drags in Grain Valley, MO held their 2008 season opening event on May 17. Once again, TVSD reporter Kody Teters is right on the money with results from this event. Click “Read More” to see who the winners were. Phoenix Race Fuels in Arizona and Torco Race Fuels - Decatur Michigan have teamed up to manufacture and distribute Mach Series race fuels in the Western Region. Jody Davis from Phoenix Race Fuels says: “We are excited for this opportunity; manufacturing the popular Mach series fuels at our state of the art facility in Arizona will allow us to keep pricing down to our customers” “In these times of rising fuel costs, we are taking a proactive step to keep the escalating price of racing in check” Packaging should begin by July 2008. Phoenix Race Fuels offers a full line of Torco Race Fuels and related products through out the western half of the U.S. For more information visit their web site at www.phoenixracefuel.com. Alright then, well after reading the previous story I wrote after it was posted it up, I realized it just wasn’t fair to the other MSBA members and all those who put in time and effort to make sure the hill climb went off smooth as silk. I want to make sure I give credit where it is due, so along with the results I can remember, I want to make sure that those who made the hill climb happen are recognized. 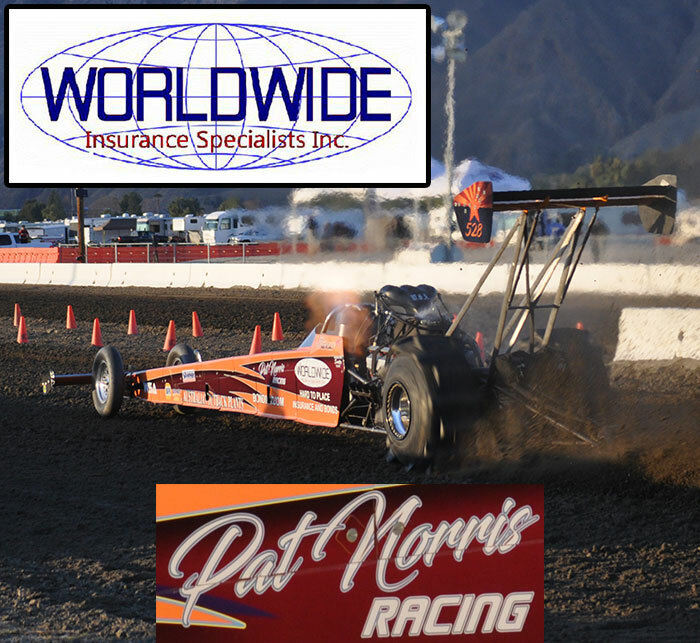 The NSDA’s second visit to the Soboba Casino in 2008 was a memorable one for absolutely spectacular racing throughout the weekend. C3 Productions (www.c3productions.net) always does a great job of capturing the action through their photos, so let’s take a look back at some of the winners and great pictures from the event. 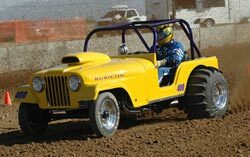 BONNE TERRE, MO – What began as a partly sunny, 68-degree day in Bonne Terre soon brought soggy sorrows of a botched benefit and an abrupt end to racing action at Big River Sand Drags. The track was in great shape. Work had been completed to ready the Port-a-Tree timing system printer and 60 ft. sensors, which had previously been out of service. New two-way radios had even been purchased to improve track communication. Fifty-one competitors turned out to show their support for 5-year old Seth Barnes of Valle Mines. He was diagnosed with leukemia last November. An induction ceremony was held to welcome Seth into the Big River Sand Drags racing family as showers slowly fell from above. Raffles and racing were well underway when Mother Nature came knocking this Mother’s Day weekend. Click “Read More” to view Dome Valley’s May 30-31 Race Flyer. NSDA’s fifth point series event concluded on Sunday at the Soboba Casino in San Jacinto, CA. Scott Whipple made it four out of five race wins in the 2008 Top Fuel season. Scott ran a great 2.267 in the final round to defeat Jeff Janoe. Mike DeNunzio made it another Team Canidae TF/TA sweep with his second Top Alcohol class win of the season. 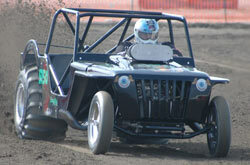 Billy Morris took home his first ever Top Eliminator class victory with a final round win over Tiffany Januik. Pro bracket winners on the day were Ray Islas (Pro 1), Rocky Randolph (Pro 2), Brendan Root (Pro 3), Brooks Ryan (Motorcycle Pro 1), and Randy Mings (Motorcycle Pro 2). Another Primm race is in the record books. What a great weekend of racing. An NSDA record 451 entries turned out for the biggest race of the Spring. All of the west coast regulars were there along with a lot of cars we haven’t seen in a while, and a few cars that came in from far distances away. The racing on the track was safe, despite a couple wild rides. Fortunately, Dan Allen and Charlie Brown were none the worse for wear after their incidents. It was a great weekend for the sport with all of the racers coming together and putting on a show that was second to none. The Terrible’s Primm Valley Resorts Spring Nationals turned out to be the largest ever race for the National Sand Drag Association with 451 entries competing at the race in Primm, Nevada. The influx of part-time racers made for some great competition and a mixing up of the NSDA point series battles. Mild temperatures and sun, with a windy Saturday mixed in, greeted everyone and made for a great weekend of racing. Let’s move on to the recap of the weekend’s racing action.